Words, words, words. People write them. People read them (or ignore them!). And some people take pictures of them and blog them. 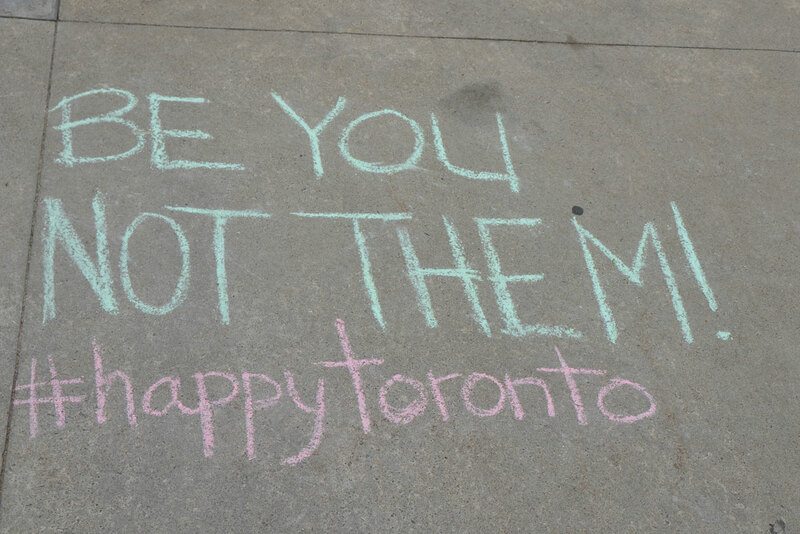 below: Let’s start with the encouraging words such as this one: “Be you not them!” I don’t know who is behind the #happytoronto campaign but if you search for that hashtag on instagram, you’ll discover that they wrote a number of positive messages on Toronto sidewalks. 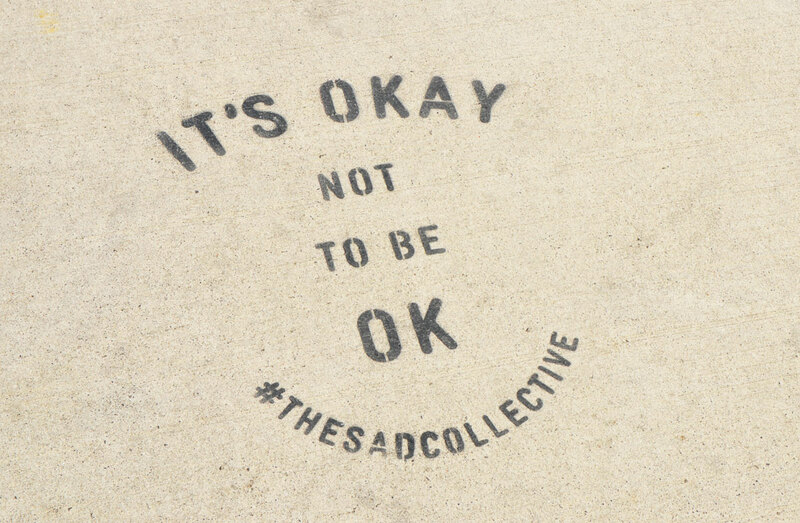 below: Another hashtag, another set of words. 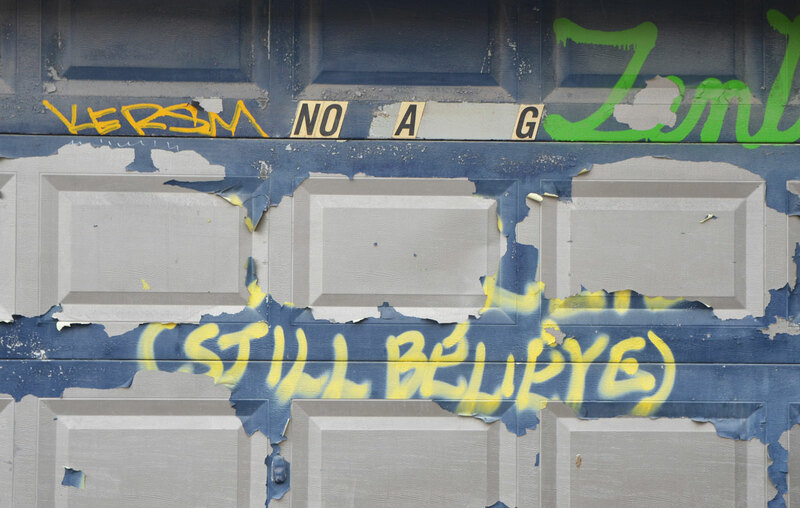 below: Time and weather and peeling paint have erased some of this message but “still believe” is still there and hanging on. 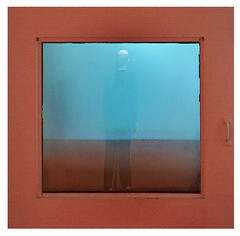 below: Like most facets of life, there’s always the negative ones. But who knows, maybe he speaks the truth? 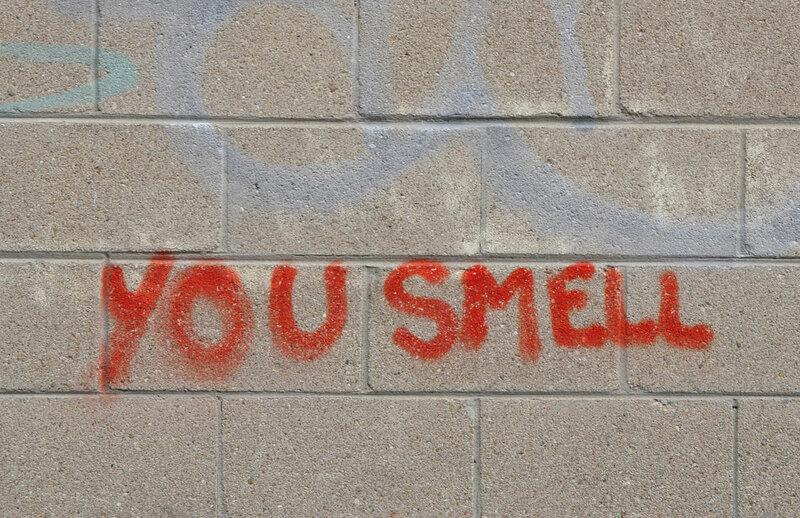 Ambiguous words: A declaration of love? 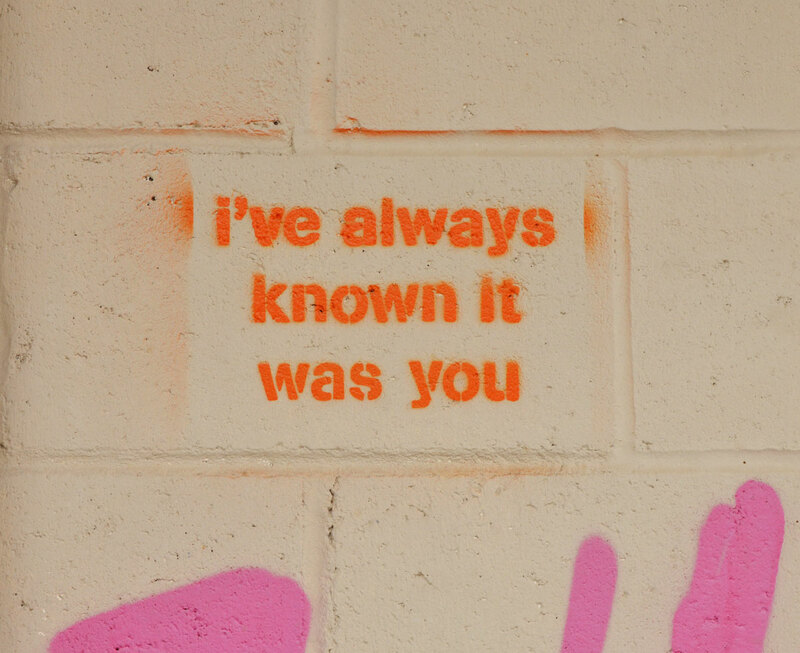 An accusation of a crime? 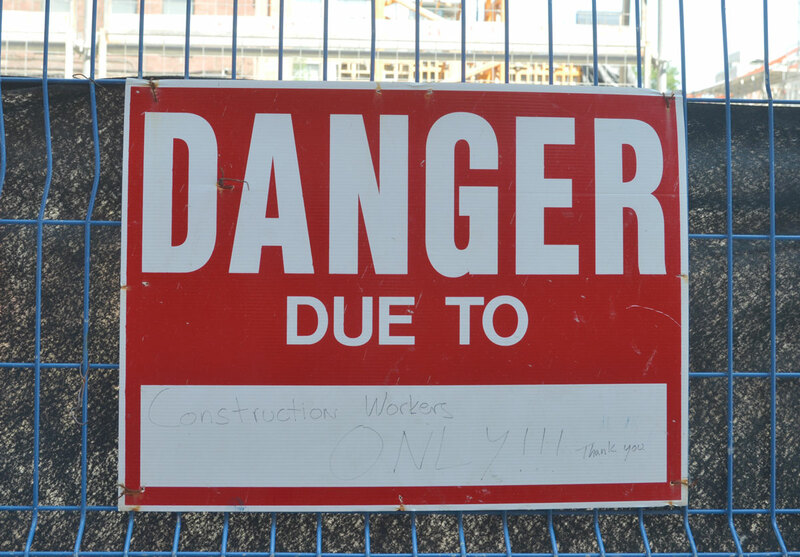 below: Danger due to construction workers ONLY. Definitely no other dangers here! 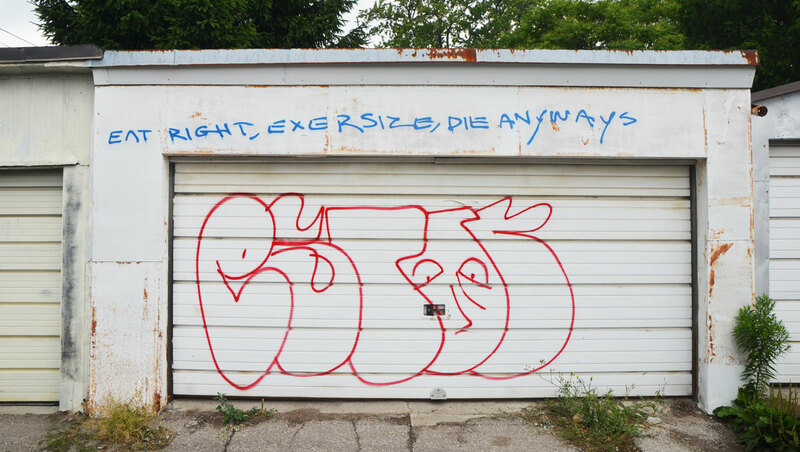 below: “Eat right, exercize, die anyways”. A touch of reality or cynicism. The interpretation is in the eye of the beholder so to speak. 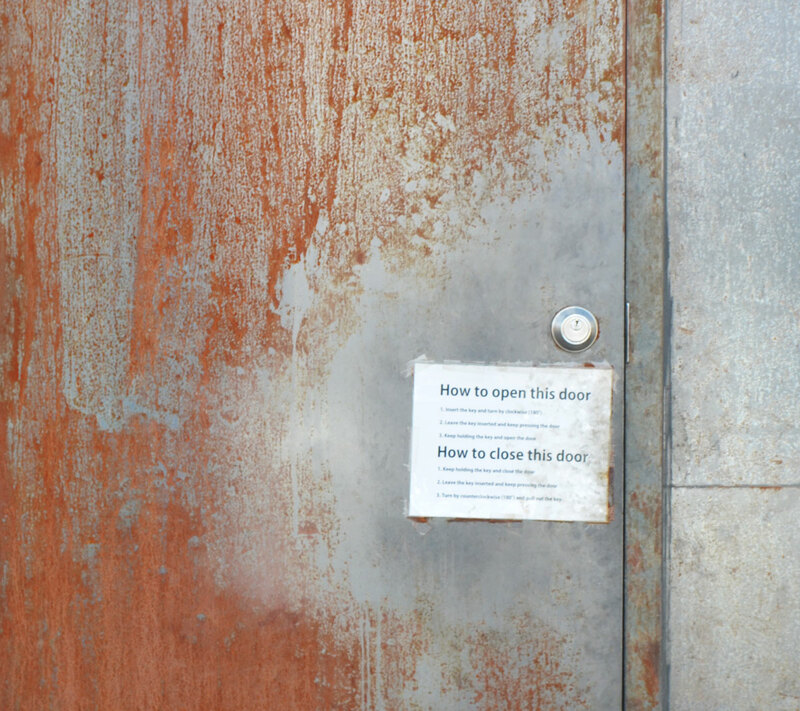 below: How to open this door. At first glance, what silliness. Playing visually with written words. 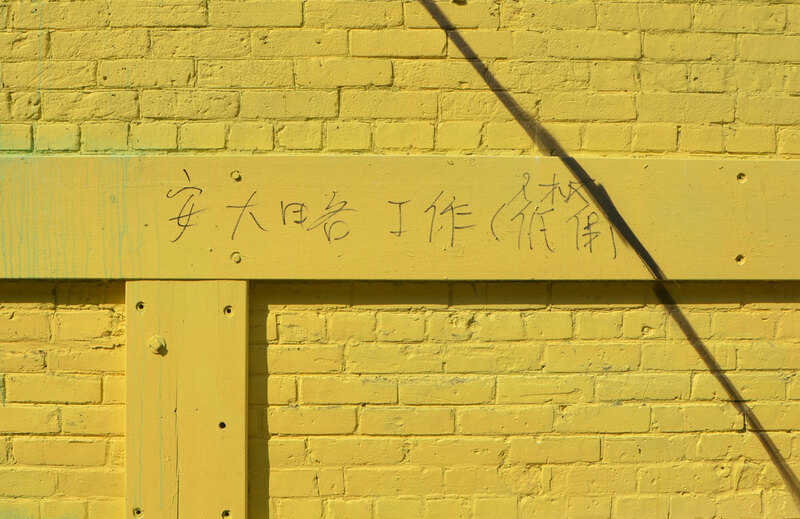 below: Chinese characters on a yellow wall. I have no idea what it says and I’m not sure if google can help me translate. Post no bills? No parking? Both doubtful… I think! 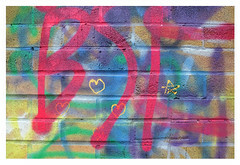 They are written on a mural on Gerrard East (Chinatown East) that was only a few days old. 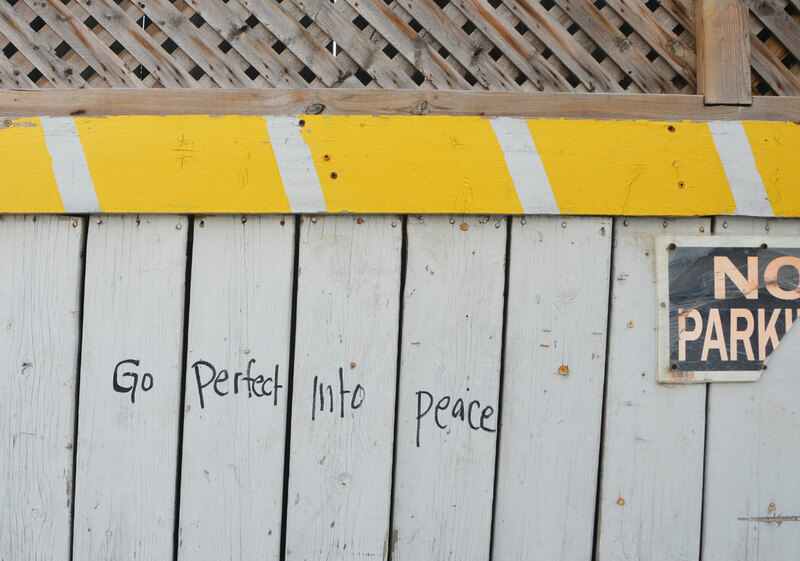 below: “Go perfect into peace”. Wonderful sentiment. The grammar is iffy ( a direct translation from Chinese into English? 去完善纳入和平) but I like the succinctness of the message. 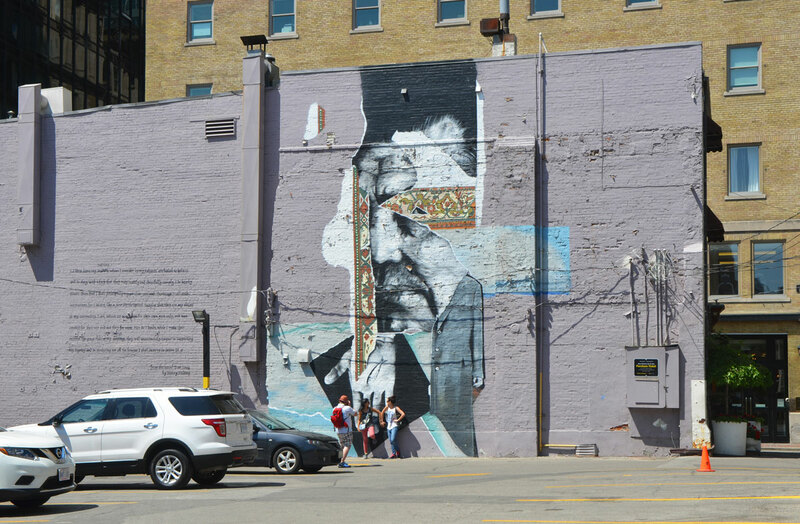 below: And last, I am going to include the words from this mural because it is now adjacent to a construction site and who knows how long its going to remain visible. 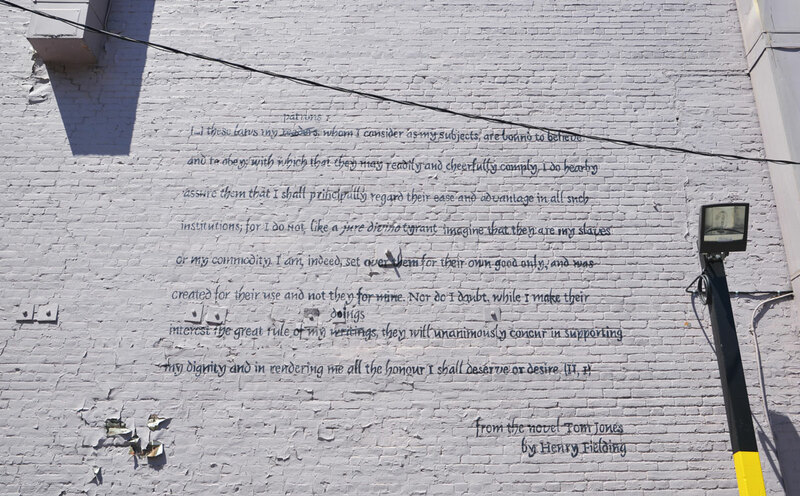 below: From the mural above, a quote from the novel ‘Tom Jones’ by Henry Fielding written, appropriately, on the wall of the Tom Jones restaurant. I’ve included the transcription below the photo. You’ve caught a couple of my own favourites, plus a bunch I hadn’t seen before – thanks! 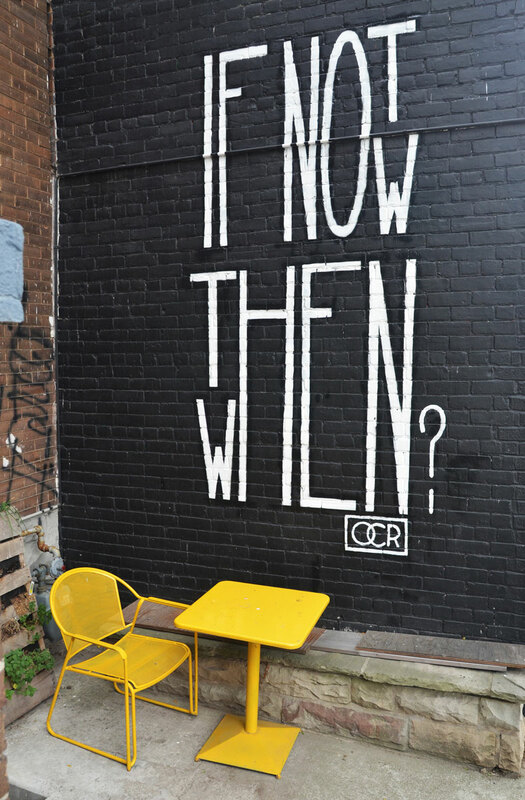 For ambiguity, I’ve always liked the big “You’ve changed!” at (I think) Queen W & Ossington, anyay, right by CAMH. Is it admiring, or accusatory?